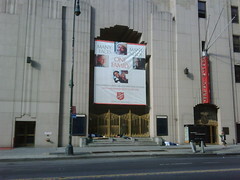 Although this art deco Salvation Army building does not offer a thrift store to the public, it provides a wealth of social services to people in need in New York and worldwide. This is the organization's executive headquarters. 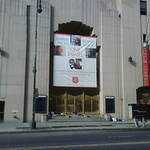 The Salvation Army provides everything from disaster relief to adult rehabilitation, youth camps to music programs, combating human trafficking and senior services. Ever wonder where the bell ringing Santas come from during the holiday season? Right here!